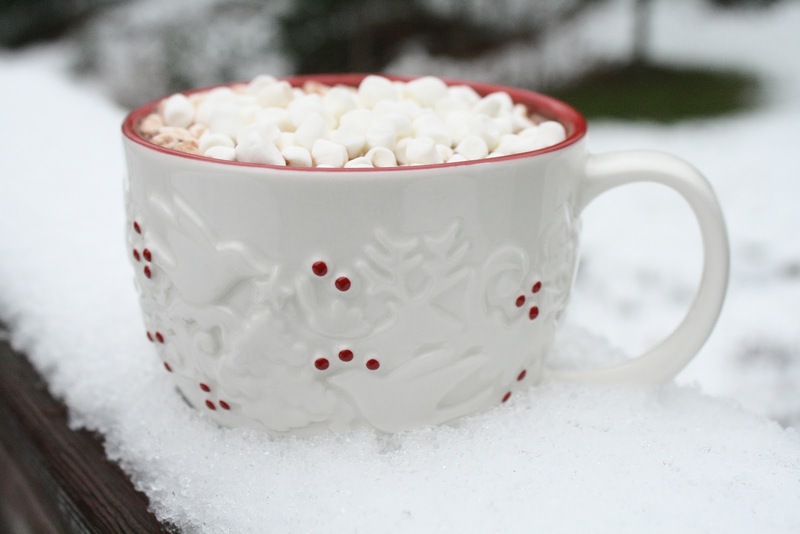 Nothing says winter like a steamy cup of hot cocoa. Especially with marshmallows on top. Mmmm, can you taste the chocolaty goodness? As I was holding my warm cup in my hands, sitting in front of the Christmas tree that we had just put up, and gazing out at the snow covered woods, I was overtaken with nostalgic feelings from winters past. Remember when you were a little sprite, just coming in from a cold day of gliding down hills and trying to shape huge balls of snow into a snowman? Wait a second, maybe that's what says winter a little bit better. But what's the first thing they ask for upon entering the toasty house? "Mommy, can we have some hot cocoa with mini-marshmallows?" Because they instinctively know that hot cocoa is the best possible ending to a romp out in the snow. And they know that it tastes better with mini marshmallows. Why does the health food store sell marshmallows? I don't know. But I am glad they do because it is the only place in all the land to buy them. At least that I know of. And they are adorable! Which makes them taste better, didn't you know that? So even if your outdoors isn't covered in fluffy white snow like my yard is, heat up the tea pot and make yourself a cup. Because it's winter. Because Christmas is near. Or, an even better idea is to come over for a visit and I'll make you a cup. I'll even garnish it with some mini marshmallows for you! My kids were just asking yesterday to have your family over for a visit here. 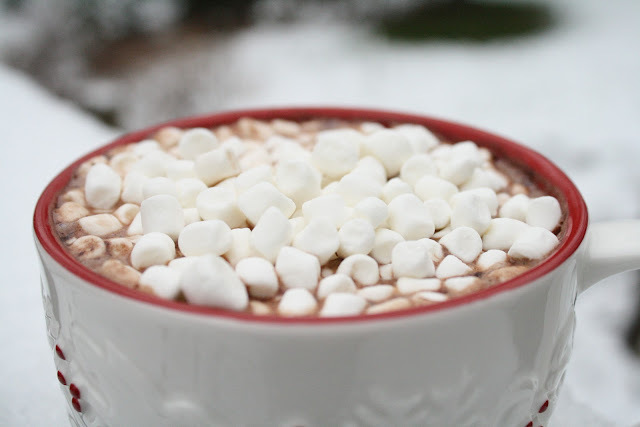 We love hot cocoa too, however, do NOT have any marshmallows, mini or otherwise :-(. I have refused to buy them. From the moment the little white things enter our house I am begged at every snacktime for them until the whole bag is gone. I have decided that this is one sweet treat that my children will have to find a great delight at somebody else's house. :-) Let's plan a visit to your's soon!